Originally released on the Nintendo DS in 2008, Tales of Hearts was later re-released in 2013 on the Playstation Vita after the success of Tales of Innocence’s re-release the year prior. The main game and story elements remained the same, but everything else was built from the ground up, including a new battle system, 3D graphics, full voice acting, new characters and scenarios and all-new anime cutscenes made exclusively for that version of the game. 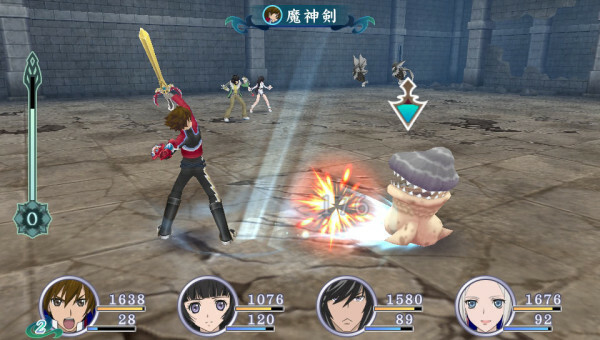 With rising popularity in the West, and Tales of Xillia 2 having been released only a few months prior, Namco Bandai decided to localize this new version of Tales of Hearts and release it in November. Unlike other Tales games released stateside, while the script is entirely in English, the spoken dialogue is only in the native Japanese. This may alienate some who’ve come to expect an English dub from the Tales series, but I found that the voice acting worked well and didn’t really have any problems with it. The story of Hearts takes place in the world of Organica. Every being on the planet has an essence known as a spiria, which is made up of all of their emotions and willpower. Creatures called xeroms try to posses and drain people’s spiria, which causes an affliction known as despir, and the only people capable of stopping them are those known as Somatics; people who can weaponize their spiria and enter into the hearts and minds of others to cleanse them of despir. The game follows Kor Meteor, a third-generation Somatic who was raised by his grandfather in a small farming town out by the water. When a girl named Kohaku Hearts washes up on shore with her brother Hisui not too far behind, Kor soon finds himself in a battle against an evil sorceress who inflicts Kohaku with dispir. Kor goes inside Kohaku to try and cleanse her, but it instead shatters her spiria core and spreads her emotions throughout the land. Without any emotions (save for kindness), Kohaku is a shell of her former self and now it’s up to Kor, Hisui and a band of misfits they pick up along the way to travel the world in search of her missing shards. The combat is very much your typical Tales game, but with a few interesting tweaks. Four characters stand in a large open circle and you all fight in real-time against a swarm of enemies. You can pause the combat to use items, switch up strategies with your AI partners or get them to cast one of their Artes (the game’s magic equivalent), but for the most part it’ll be you and your teammates running around and hitting enemies until they’re gone. It’s what you’ve come to expect from the series, but what makes it interesting is the chase link and counterattack mechanics introduced in this version of the game. Chase link occurs when you’ve hit an enemy a set number of times and you can then launch him into the air for a combo and continue to hit him until you’ve either hit a finishing move or he comes out of his link-induced stasis. It’s fast and chaotic, and once you mastered it, alongside being able to time it correctly so you can use it with your partners, it’s a sight to see. Counterattack is a little less intuitive, as it mostly comes down to luck or really good timing, but being able to break through an enemy’s attack and launch into a chase link is always a satisfying feeling. You also build up a gauge, which allows you to unleash a special move once fully filled, and those are always fun to watch. It’s fun, fluid and feels like classic Tales with an enjoyable twist. Another interesting element is how leveling and skill management is handled in the game. Whereas you would usually get a set increase in your stats every time you level up, in this game you’re given points which can then be distributed to different emotional aspects of your selected character. Depending on which emotions you fuel, you unlock new skills, weapons or boosts that you can use in battle. What makes it interesting is that not every character shares the same emotional spectrum. While a good portion of it is uniform between characters, the stats it boosts varies depending on who you’ve chosen. It’s dynamic and adds a nice strategic element to how you approach leveling up your characters. 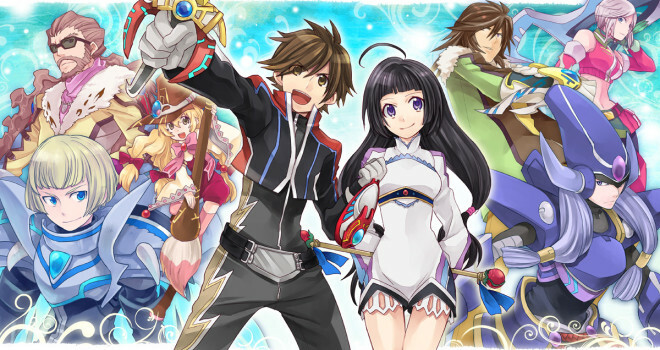 Overall, I had fun with Tales of Hearts R and would gladly go back and play through it again. While the plot is definitely one of the weaker elements of the game, the characters are incredibly well developed and fleshed out and you really grow to care about them throughout the 30 hour campaign. 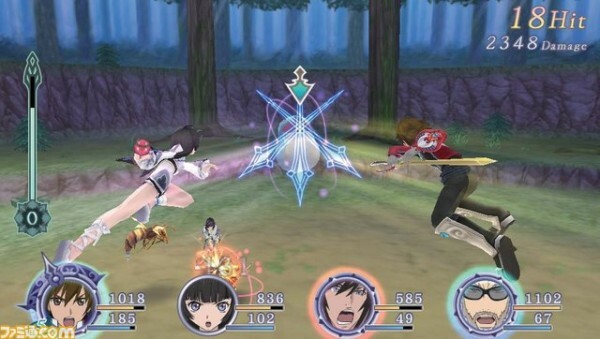 The music is serviceable and does it’s job well, if not completely memorable, and the Japanese-only voice track might put off some fans who’ve only played Tales games in English, but the incredibly fun combat, the customizable leveling system and the bright and detailed graphics are sure to please anybody looking for a fun time. It may not be the best the franchise has to offer, but it’s certainly worth being part of your Playstation Vita library.